Forget Disneyland or Las Vegas...if you want the family trip of a lifetime, Italy is your dream destination. With its mix of iconic sights (The Colosseum! The Leaning Tower of Pisa! Venice! ), an incredibly kid-friendly culture, and complete lack of judgement about letting your children subsist on pizza and gelato for days on end, the Bel Paese is where you can strike the perfect balance between parent-approved education and kid-friendly fun. Like any family vacation, however, the overall success of the trip is dependent on a bit of advance planning, itinerary tweaking, and realistic compromise. Kids (and adults) can get overwhelmed with a new language, culture, schedule, and menu...the best way to avoid general crankiness or complete meltdowns is to take this into account when planning your trip and gearing up for your departure. We have a number of recommendations to help prepare for a family trip to Italy that we’ll be sharing over the next few months. Here, we begin with one of the most important and, luckily, enjoyable: getting your kids excited about Italy through reading! 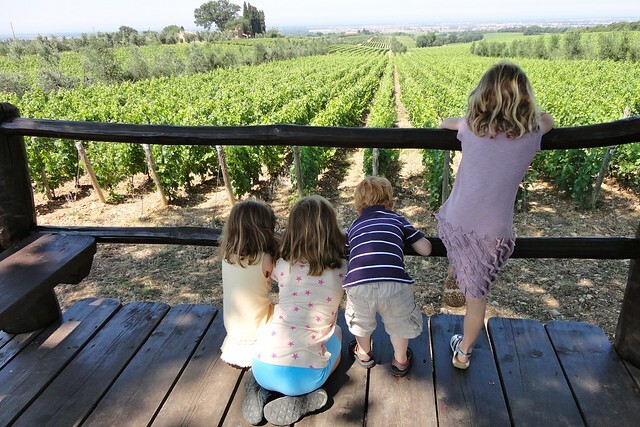 Traveling to Italy means introducing your kids to impressive sights, a new language and culture, millennia of history, and of course, one of the most iconic cuisines in the world. Taken together, this can be a lot to take in over just a few days or weeks, so to minimize the impact and maximize the fun, begin preparing your family a couple of months before your departure with age-appropriate books and other resources about Italy’s history, culture, and cuisine. If your kids learn a bit about the locations and sights on your itinerary ahead of time, they’ll be more engaged and excited when they actually arrive! First time your toddler takes an airplane? Byron Barton's Planes and Airport are fun picture-book introductions to air travel. The Airport Book by Lisa Brown is also a great choice for slightly older new flyers. The Strega Nona: This classic book (and, later, series) by Tomie dePaola is timeless. Madeline and the Cats of Rome by John Bemelmans Marciano: Fans of France's most famous orphan will love this tale set in Rome. Dodsworth in Rome by Tim Egan: World-traveler Dodsworth (and his trusty duck) take a trip to Rome. Gabriella's Song by Candace Fleming: A delightful picture book set in Venice. Mimi & Piggy's Adventure In Venice by Chisato Tashiro: A picture book set in Venice for tots. The Flying Bed by Nancy Willard: Beautiful illustrations for this story set in Florence. The Toddler’s Handbook, Over 100 Words in Italian by Dayna Martin: An easy way for toddlers (and their parents) to pick up some basic vocabulary. The Magic Treehouse Books by Mary Pope Osborne are favorites among grade-school kids. A number of these are set in Italy, including Monday with a Mad Genius and Fact Tracker: Leonardo da Vinci (Florence and Leonardo), Vacation Under the Volcano and Fact Tracker: Ancient Rome and Pompeii (Pompeii), and Carnival and Candlelight (Venice). Roman Mysteries Series by Caroline Lawrence: A highly respected and beloved series of books about young detectives set during the Roman empire and spans 20 books. I, Galileo by Bonnie Christensen is more about science than Florence, but an excellent introduction to one of Italy's most important luminaries. Pippo the Fool by Tracey E. Fern: An incredibly engaging story of how Brunelleschi designed and built the dome atop Florence's Duomo. Renato and the Lion by Barbara di Lorenzo: Just try to make it through reading this touching story set in Florence to your kids without tearing up. Pompeii...Buried Alive by Edith Kunhardt Davis: Beginning readers can delve into this dramatic retelling on their own. This is Venice and This is Rome by Miroslav Saskey: Two Italian cities covered by the classic This Is... travel series. Who Was Marco Polo? by Joan Holub: A pared-down biography of Venice's most famous citizen. Where Is the Colosseum? by Jim O'Connor: A kid-friendly overview of one of the most famous sights in the world. Vendela in Venice by Cristina Bjork: An excellent overview of the history and culture of Venice to prepare young travelers for their first visit. Stone Giant: Michelangelo's David and How He Came to Be by Jane Sutcliffe: The fascinating history of Michelangelo's masterpiece. Look What Came from Italy by Miles Harvey: A great way to illustrate highlight how many many things originally came from Italy, including inventions, foods, holidays, music, games, fashions, and words. Let’s Cook Italian by Anna Prandoni: An excellent introduction to Italy's cuisine and language, as each recipe isn in English and Italian. Take me Back to Italy by the Baby Professor series: A simple, introductory guide to Italy's geography and culture for younger children. Older kids and more advanced readers may prefer Getting to Know Italy and Italian by Emma Sansone. Galileo, Michelangelo and Da Vinci: Invention and Discovery in the Time of the Renaissance by the Baby Professor Series: Another excellent introduction to Italy, this time through the lens of its greatest thinkers. City: A Story of Roman Planning and Construction by David Macaulay: Detailed building diagrams that introduce Roman architecture, helping young visitors decipher the Roman Forum or Pompeii. Ancient Rome (DK Eyewitness Books): A must for learning about the art, architecture, and culture of ancient Rome. The Roman Mysteries Series by Caroline Lawrence, beginning with Thieves of Ostia: This classic adventure series was also made into an excellent BBC TV series. The Second Mrs. Giaconda by E.L. Konigsburg: A romantic retelling of Leonardo and the Mona Lisa. Stravaganza: City of Masks by Mary Hoffman: A fantasy novel (first of a series) set in a parallel-universe version of Venice. Though you won't want to pack a stack of books for your trip to Italy, there are a few that are worth tucking in their backpacks. 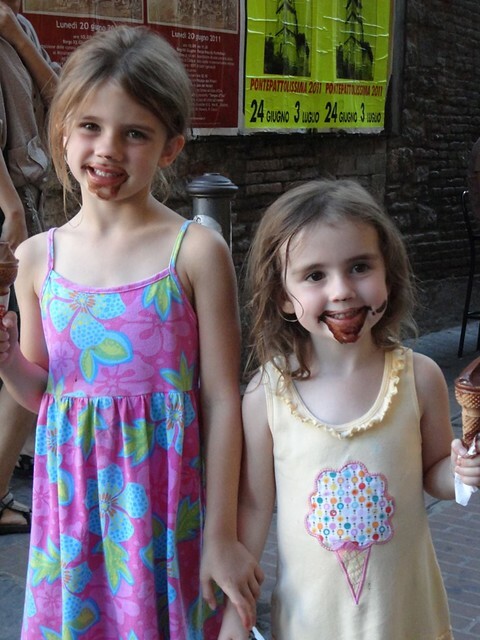 The Kids' Travel Guide - Italy & Rome: The fun way to discover Italy & Rome is a great way to keep grade-school kids engaged in the day-to-day itinerary while in Italy with info, fun facts, quizzes, coloring pages, and other fun activities. 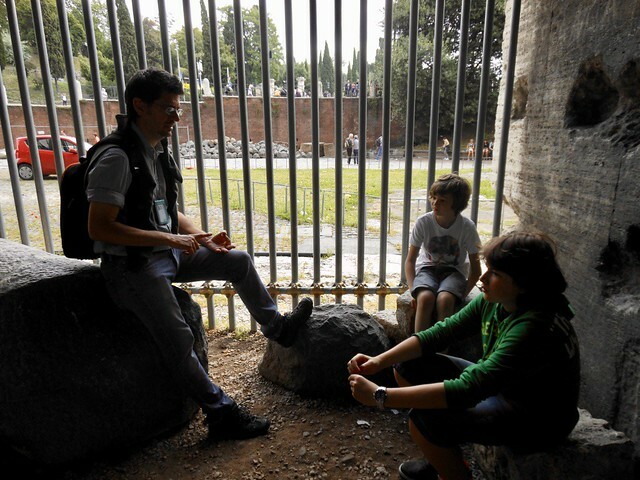 The Mission scavenger hunt series (with books for Rome and Florence) and Kids Go Europe treasure hunt series (with books for Venice and Florence) can also keep kids interested when visiting these two cities, acting as part travel guide and part activity book. A fun and unique way for kids to bring fun travel facts with them is the Tava Travel Guides, a set of cards with information and games (available for Rome, Florence, and Venice). Magic Treehouse Books by Mary Pope Osborne - Carnival and Candlelight (Venice).